The first time the author mentioned a website where you could get a free tactical bag I thought “oh cool!” Then I realized he was trying to sell me more stuff. As the book progressed more websites than I can count were mentioned trying to sell stuff. While I appreciate the info it got a bit overbearing and felt like an infomercial at times. Just leave a master list at the back please! That said, I HIGHLY recommend this book to everyone! 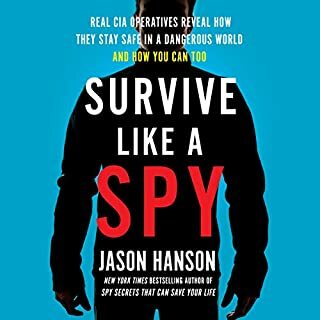 It has interesting spy stories and is loaded with practical tips anyone can put into action to stay safer in this crazy world we live in. I’d give it 5 stars were it not for the infomercial tone in places.